What do scientists from top universities say when they are asked to give the most compelling evidence they can for Darwinian Evolution? This special video download contains some of today’s most explicit “proof” that evolutionism is a religious belief—and the evidence comes from interviews of several of Charles Darwin’s leading modern disciples! An amazing look at modern-day atheism. 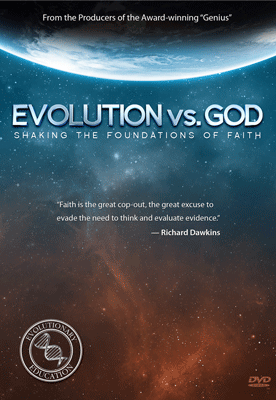 A download (PDF) of a special, 24-page "Evolution vs. God" Companion Guide, with questions for reflection/discussion. 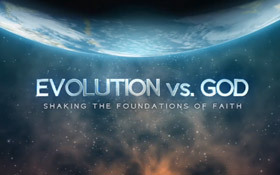 Part 1 provides more information about evolution, arming you with additional evidence to refute the statements made by the professors and students on the video. 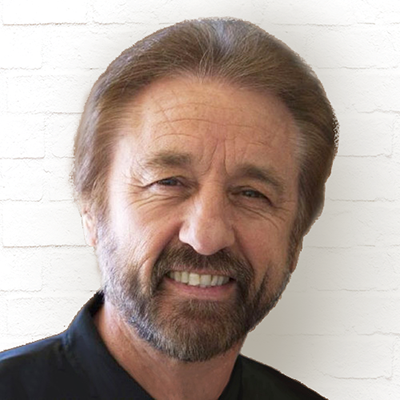 Part 2 will help equip you to share the gospel confidently and biblically. Includes a fascinating "behind the scenes" write-up of how Ray managed to get such unique interviews with evolutionary scientists. Note: This special companion guide is available with video download purchase only.